How does gaming help develop skills for the workplace? Gaming can help develop skills for the workplace in a few ways. One of these ways is teamwork. A game series that can help develop this skill is called Counter Strike. Counter Strike is a multiplayer 5v5 game that was once a mod for another game known as Half-Life. The Counter Strike (Abbreviated CS) series has had a total of 3 games. Counter Strike (CS), Counter Strike: Source (CSS) and the most popular Counter Strike: Global Offensive (CSGO). The gameplay of CSGO has 2 modes, the ever-popular Bomb Defusal (de) and Hostages (CS). Bomb Defusal is where the Terrorists (T) has to plant a bomb in one of 2 position on the map and defend it until it blows up. Counter-Terrorists (CT) have to kill all Terrorists or defuse a planted bomb. Hostages has 4 NPCs how need to be lead to a zone. 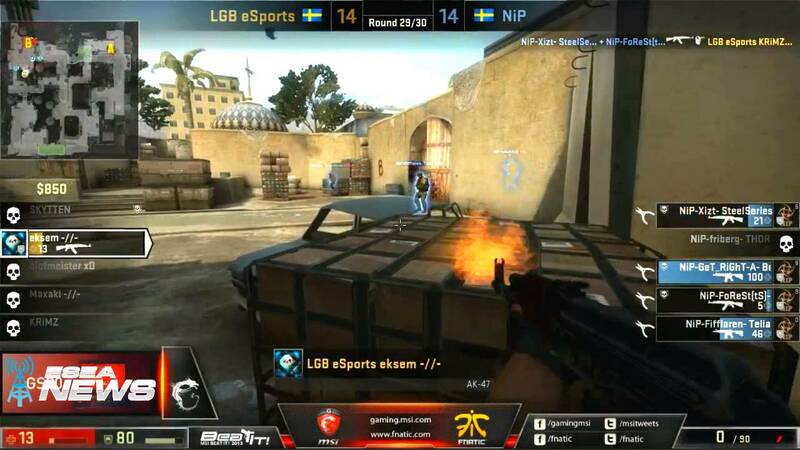 Above is an image of a 2013 eSports match between LGB eSports and Ninjas in Pyjamas (NiP). In this image shows a game of Bomb Defusal and teamwork that NiP have at site B on the map de_dust2. This site has 3 entrances. “Corridor” which is behind eksem (The person whose view is shown), “B Door” which is at the centre of the screen and “Hole” north of “B door”. If you look closely at the image, you can see blue outlines showing CT players. One is under “Hole” and defending the bomb from being picked up by eksem. Another is at “B door” incase it is attacked and 2 other (One not shown) are looking for eksem. The idea of the game is that all team members work together in order to diffuse a bomb planted by another team. You can often use online programs such as Steam or Skype in order to communicate with your team members. You are forced to work in a time-dependent and high-pressure situation with a group of four other people. In this way, you’re required to use your team member’s strengths and weaknesses and to delegate tasks to other team members, whilst supporting them to achieve your end goal. I believe these gaming skills are easily transferrable to a modern day workplace. Gaming also helps to sharpen your logic and your situation analysis skills. In a first person shooter games such as Call of Duty, you’re forced to look around at your surroundings and to strategise how exactly to best navigate through a tricky situation without being killed. Going to work is unlikely to offer life or death situations, however it does help to condition your brain to approach tasks in a quick and efficient way. For example if you work in the military as a strategist, playing games like WOW or Planetside can assist as they require sufficient and logical planning to win. 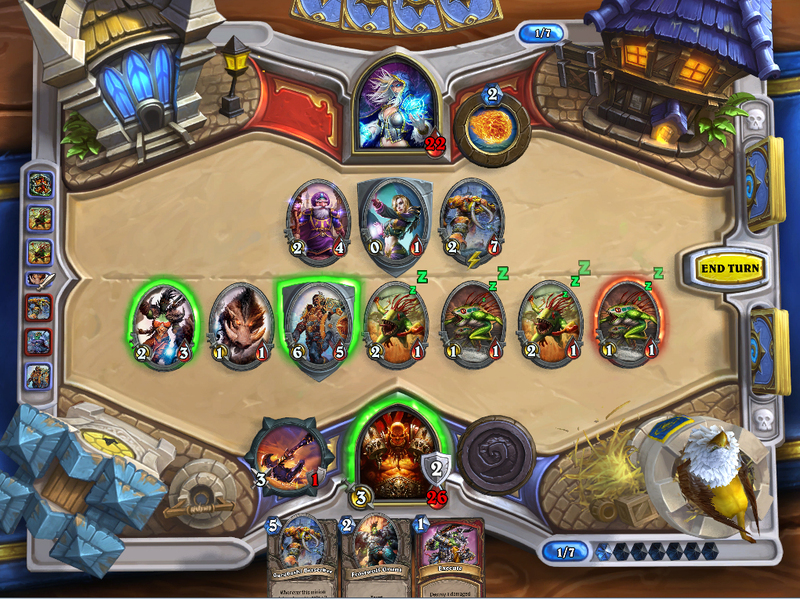 Digital card games like Hearthstone also require sufficient logic and calculation skills to defeat your enemies. Using your “mana” available to you – as shown in the bottom right hand corner – you need to calculate how best to use your hand of cards to deal the most damage to your opponent. The numbers on the left of each card show how much mana is required to play a card. In the bottom right hand corner, I can see how much mana I have left to place a card. So really, the only card that I can play in this turn is the “execute” card as I have already used 6 mana in this turn. It’s this way of thinking that can be great to develop your skills for work, because it requires looking at the problem at hand, and then creating a strategy. Like in gaming, business really is all about winning or losing based on the strategic decisions you make. Similar to teamwork, management and leadership can be developed by playing games like Counter Strike. 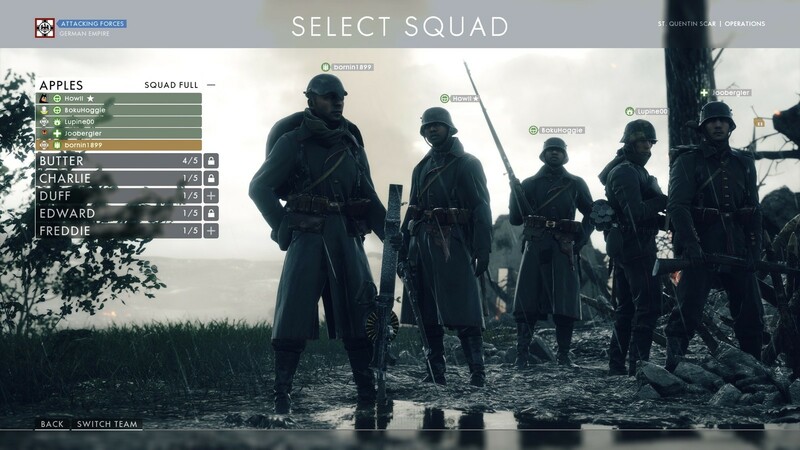 In Battlefield 1, a game based on WW1, you have squads. In theses squads you have a Squad Leader. The Squad Leader can set custom objectives for the Squad such as Attack Point A, B, C, etc. This can help you learn how to lead a group of people (who are most likely constituted of strangers) and the hypothetical assumption is that if you can successfully lead a group of strangers you can surely lead people you know and work with to whatever you do at work. Problem solving is yet another skill gaming can develop. 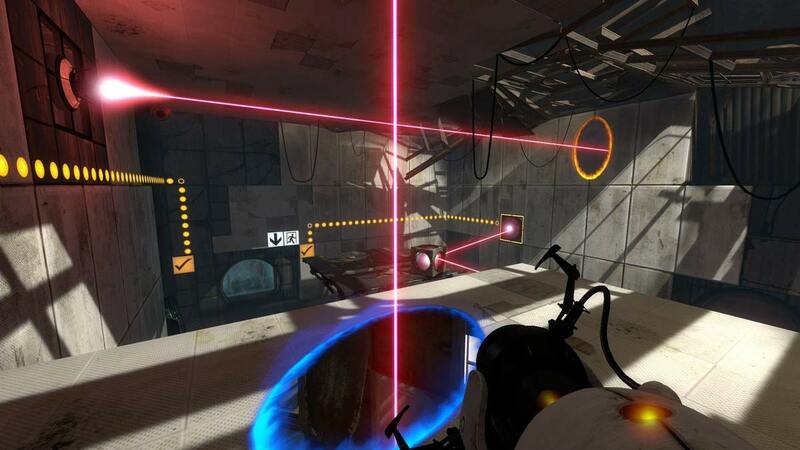 In the game Portal, you have a gun that can place 2 portals on flat, white surfaces. You also have Thermal Discouragement Beam (Laser), Discouragement Redirection Cubes, weighted cubes, spheres, Repulsion Gel (Blue Gel that make you jump higher based on gravity), Propulsion Gel (Orange Gel that makes you move faster. Combine with Repulsion Gel to jump long distances), Conversion Gel (White Gel that turns non-white surfaces white), Cleansing Gel (Water-like Gel that removes gel form floors/walls) and if you have a mods you add in 2 more Gels, The Adhesion Gel (Purple Gel that was cut from the game. Lets you walk on walls/ceiling) and Reflective Gel (Similar to Discouragement Redirection Cubes, but in gel form. It replaced Adhesion Gel in Dev Kit when it was removed). These can create some hard puzzles like what is shown in the image above. In this puzzle you have to put a DRC to redirect a TDB into a switch and use portals to activate another one on the ceiling for the door to open. Later Puzzles include using 2 DRCs to redirect into 3 TDB switches and using only Conversion Gel to place portals up some black pillars to reach the exit. Puzzle Solving can be used in the workplace to solve problems. For example if you work in web design, you can use these skills to fix errors in the code. These are just some skills that can help in a workplace that can be developed by gaming. I hope that you enjoyed reading. My name is Zac Ross and I am working here for Work Experience. I go to Box Hill High School. If you couldn’t guess from the basic topic of this post, I enjoy playing Video Games. Gaming for me is really fun. I have a 2 PS3, Xbox360, Xbox One, New Nintendo 3DS, Wii U, Switch, 161 games on Steam. I have also had a PS1, Wii, Nintendo DS Lite and Nintendo 3DS.